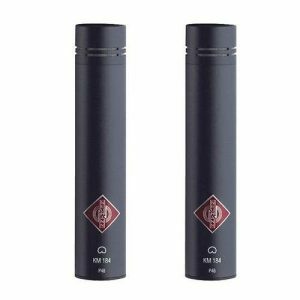 Why matched overhead condenser microphones? What to look for when buying a drum microphone? Buying a mic for recording your drum sessions is not an easy task. You need a versatile microphone, that can survive all those decibels, but still be gentle enough to record both the deep kicks and the higher sounds of the snare and cymbals. Because we know how difficult selecting a proper microphone can be, we have created this guide. In it, you will learn what to look for when browsing for a drum microphone. Also, we will display our picks for the best overhead drum mics. After reading the whole article, you will have a much better idea why you should consider buying an overhead drum microphone. Stay tuned to find out more! Drums are a very complex, and a very loud instrument, and to get them on a tape properly, you will need different types of microphones. But, you need to start somewhere, and the best kind of microphone you should first get is an overhead condenser microphone. A matched pair to be precise. Condenser (capacitor) microphone is excellent for studio recording. The main reason why, without getting into physics, is the sound quality. 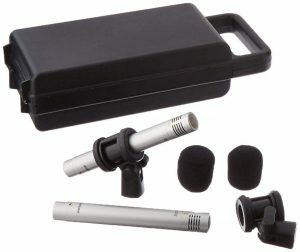 The condenser mic can capture the sound more accurately than dynamic microphones, since they are much more sensitive, and they produce less noise. On the other hand, they are much more durable than ultra-sensitive ribbon mics, making them a better option for recording loud drum solos. We can say that condenser mics offer the best of both worlds – they are more sensitive than dynamic, and more robust than ribbon microphones. 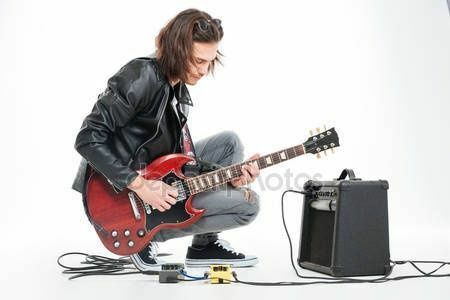 As for the overhead mic placement – that position is superior for recording drums, as it will capture the sound of your whole drum kit better than any other microphone position. For that reason, you should set up your overhead drum mics first. If you are using condensers (which we think you should), the best placement is a little higher than the cymbals level, and at an equal distance from the kick or snare, further out to the side of the drum kit. That way you will be able to capture the most accurate stereo image of your drums. Getting a matched pair of overhead microphones will save you a lot of effort. Recording drums can be tricky, a lot of factors come into play. Getting two separate microphones to match, in order to record in stereo can give you a lot of headaches. Microphones that are unmatched will create flickering or other tone inconsistencies, especially if your microphones are close together and close to the sound source you are recording, in our case, drums. Getting a pair of pre-matched microphones solves this issue as the manufacturer makes sure both microphones are set to the identical frequency and sensitivity. That way, you don’t have to deal with that uncomfortable flickering or other sound issues. SPL (sound pressure level), is a number that tells you how much a microphone can take before losing sound quality or before distortions start appearing. Because the drums are a powerful, loud instrument, the higher the SPL number, the better. Sensitivity, on the other hand, should be lower for a drum mic, since less sensitive microphones are not that easy to distort. You want your drum mic to last, especially if you are going to carry it with you, so getting a well-made pair is a good idea. But, the sound quality is the most critical factor. The best microphones have golden components (gold is the best conductor) which significantly improve the quality of captured sound. Brands come into play too. Although you will pay more for a branded product, just because it is branded, there is a good reason why that particular brand became popular in the first place. And with audio equipment, the number one reason usually is sublime quality. Your budget is the main limiting factor, and that is true in general, not just when buying a drum microphone set. However, you should think twice before buying the cheapest mic you can get. First, buying the cheapest is never a good idea, unless it is absolutely the only option you can afford. Second, drum microphones are not something you buy every day, on the contrary. Look at them like on a long-term investment. It is better to stretch your budget a little further now and buy a mic that will do you good for years to come. Third, you should really be careful when purchasing a low-end condenser microphone. Although in general, they record with much better quality than dynamic mics, that is only true for higher-end models. Cheapest condenser microphones often have a worse sound quality than similarly priced dynamic ones. For that reason, try not to be ultra-tight on the budget, unless you absolutely have to be. To make your life easier, we have created this short list. In it, you will find overhead microphones for every budget. But, even if you decide against buying one of our recommendations, use them as a benchmark. They are an excellent place to start when browsing for a mic since every one of them is excellent in its own way. If you’ve got the money, this is the pair of overhead condenser microphones you get. 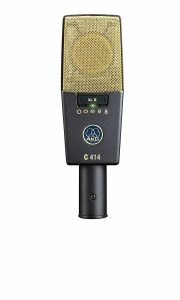 This is a legendary microphone, and the C414 needs no introduction to the music studio professionals. AKG really got it right with this microphone, and although advertised as a great vocals mic, it does the job for recording drums and other instruments perfectly well. What makes it unique is that it is a large diaphragm condenser microphone, with as much as nine different polar patterns. That makes it extremely flexible, and able to adapt to different recording, from vocals to drums. 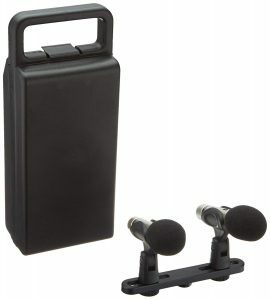 For that reason, this multi-purpose set is a good value for money, since you can use it all across your studio. This microphone has a very broad dynamic range and bass filters that reduce proximity effect, which makes it ideal as an overhead microphone since it will capture every sound your drum kit produces. It has the needed SPL of 158 dB to withstand everything your drums can bring. AKG C414 is a flawless microphone, and there’s no denying that. It’s superb-quality sound really makes the difference, and it makes up for the hefty investment needed to get this pair. Is it worth the money? It definitely is. If you are looking for a mid-priced microphone that delivers terrific recording quality, consider Shure KSM137. Shure is a well-known name in the world of audio devices, and they are continually delivering phenomenal models, from speakers to microphones. KSM137 is no exception. This microphone pair is versatile, and it will find many uses around your studio. You can select one of three positions on the dB-pad, that allow you to choose the desired input volume. That changes the microphone sensitivity, preventing any sound distortions. Like we explained in the section above, it is better to select a microphone with lower sensitivity when recording drums. 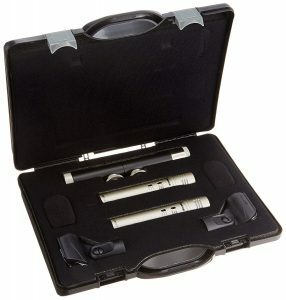 But, because Shure KSM137 allows you to change it at any time, you get a one size fits all solution with this mic pair. Also, the low-frequency filter can be adjusted in three positions too, which allows you to eliminate any background noise, without creating low-frequency interference. This is another excellent option for recording drum sessions, especially the kick drum. All in all, Shure KSM137 is a great choice. 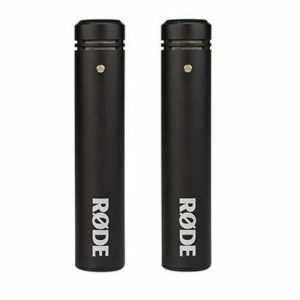 It is not the cheapest microphone pair on our list, nor it is the most expensive one. For the money you pay, you will get excellent overhead mics, and in our opinion, KSM137 is a no-regret buy. If you have a shallower pocket at the moment, don’t worry, we’ve got you covered. BEHRINGER C-2 is an extremely affordable pair of overhead microphones good for different purposes, from studio recording to live performances. These microphones have a surprisingly high SPL (136 dB) considering the low price tier, which makes them a great option for drums. SPL this high means there will be no distortions even when a wild drummer plays near the mic. Furthermore, C-2 has excellent sound isolation, provided by the cardioid pickup pattern, that will completely reject feedback. A low-freq roll-off switch will eliminate any infrasonics, such as moving of the microphone. C-2 have gold-plated 3-pin XLR connectors, which is again surprising for a cheaper model. This combined with a 4 dB boost in the 1 kHz – 8 kHz range significantly improves the sound quality when recording drums, especially for cymbals. For that reason, C-2 is a perfect choice for an overhead drum microphone. BEHRINGER C-2 is a terrific value for money. The price is surprisingly low when you take everything you get into consideration. The value is pushed even further when you consider what you get in the package – stand adapters, stereo mounting bar, and a transport case. Even if you have money for a more expensive mic, C-2 is such a great value at a price this low that you should consider buying it as a present for your musician colleges. Now back to premium models, we have Neumann KM 184. This microphone is everything but cheap, and as for the price, it stands neck and neck with AKG C414 we also reviewed. Like AKG, Neumann Km 184 is a standard in recording studios worldwide. This German audio giant makes high-precision devices, and KM 184 is no exception. This model is one of the favorite instrument microphones around the globe, loved because it captures sound as-is, completely natural. The sound is very consistent, and because of the extremely tight production tolerances, these microphones are perfect to be used as a stereo pair, for all recording methods. KM 184 has a slight treble that makes the sound feel fresh and vivid. Also, it has a terrific rejection of rearward sound, thanks to its precise cardioid directionality. Since the SPL is 138 dB, this mic pair is great for drums. It is worth noting that it has a 180 degrees listening angle, which means it will catch everything to the far right and left, as long as the sound source is in front of the microphone pair. KM 184 is versatile, great for any instrument, but also vocals recordings. Still, it is costly, and unless you are a professional, think twice about buying this mic. However, if you need impeccable sound recording quality, you can’t go wrong by choosing Neumann KM 184. Samson C02 is a contrast to the previously reviewed mic, as it is a budget-friendly solution. Still, this microphone pair has many strengths, and we can freely say that for the price you pay you get really terrific value. This mic is flexible, and its versatility will allow you to use it all across the studio. It can record everything from gentle vocals to the loud banging of the kick drum and cymbals. Because of the cardioid polar pattern, Samson C02 is able to correctly record sound only from a source directly in front of the microphones. That means all other instruments and sounds not coming from the desired direction will be reduced, making this microphone pair a great option for recording in smaller studios. A wide frequency response of the C02 allows this mic pair to enrich the sound, making it warmer, and more pleasant to the ear. Keep in mind that Samson C02 needs 48 V Phantom power to work. Of course, because this is a very cheap model (especially considering it is a pair), you can’t expect a terrific build quality. But, if you are not a very demanding user, and you need a good microphone pair to record your amateur drum sessions, Samson C02 is an excellent choice. Leave all those noise filters, SPL, impedance and other physics class nonsense to the audio professionals. Your job is to have fun, and Samson C02 will give you precisely that. Although the M5 is a budget-friendly model, Rode is a company that enjoys lots of respect. They are a veteran in the audio-tech industry and are around from the ’60. They originally started as a part of Freedman Electronics. But later, Rode began its own journey, and now it is one of the leaders of the audio industry in Australia. M5 will do a great job for the recording of any instrument, drums included. This small diaphragm microphone pair has a very low noise, combined with full frequency response. That makes M5 ideal for smaller studios. And when you add its affordable price tag to the equation, it becomes an auto-buy for amateurs who are looking to record their sessions. Still, M5 is a good buy for live stage performances, which means it can deliver even when not behind closed studio doors. Both M5 microphones are perfectly matched, making them an excellent choice for stereo recordings. You can expect a tonal quality much higher than the affordable price tag would suggest. Decently priced, Rode M5 is a good buy. It is not the cheapest on the list, but considering it comes from a well-known manufacturer, it is a great budget-friendly solution for smaller studios. That was our take on the best overhead drum mics. In this article, we tried to explain why you should consider buying overhead drum microphones in the first place. We have told you more about condenser microphones, and why they are the most balanced solution of all three main microphone types. We have also covered why getting a matched pair of mics is a good idea, and we have mentioned why overhead microphones are the best option for drums. After that, we have explained to you how to choose the best microphone for your drum kit. And lastly, we have given you six great examples of overhead condenser drum microphones. Now you are entirely ready to make your decision, and purchase the right microphone for your needs. If you have read the article carefully, we have no doubts that you will make the right choice.